Have you noticed that the engine always breaks down at the wrong moment? It’s as you arrive in the harbour, to stem the current, or when the wind has dropped completely that the engine stops or refuses to start again. So unless you are close to the rocks, in which case you will have to find an emergency way out (under sail or with the dinghy), there is no point in rushing for the VHF to send a ‘Pan Pan’. 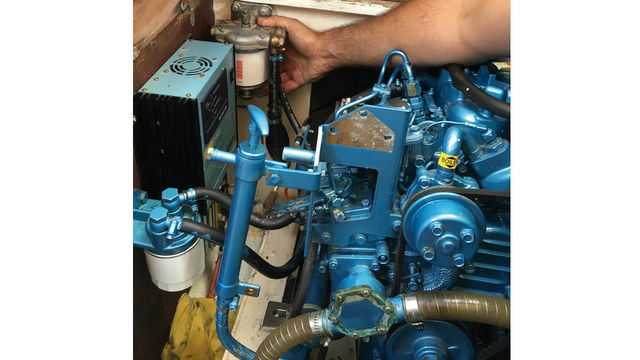 In fact the most frequent breakdowns are often due to a few recurrent phenomena which can be solved with the tools and spare parts you should have aboard. But beware, here we are starting by assuming that the engine is in good condition and not at the end of its life, which would make what follows in this article fairly unreadable… We also overlook running out of fuel, weed or line in the propeller or obstructing the seawater inlet, closed inlet or fuel seacocks, a disconnected or discharged battery – the list of ‘breakdowns’ that however happen to even the most experienced sailors. In every case, don’t push the starter for more than 10 seconds, and don’t try to start more than 4 – 5 times (at 30 second intervals), as you risk emptying the battery and drowning the engine. If we forget the benign breakdowns listed above, whose origin you will quickly find, two causes represent over 90% of breakdowns: poor diesel supply and priming, or inadequate cooling, leading to excessive overheating of the engine. You therefore have below the remedies to be applied to get you out of this situation quickly and by yourself. 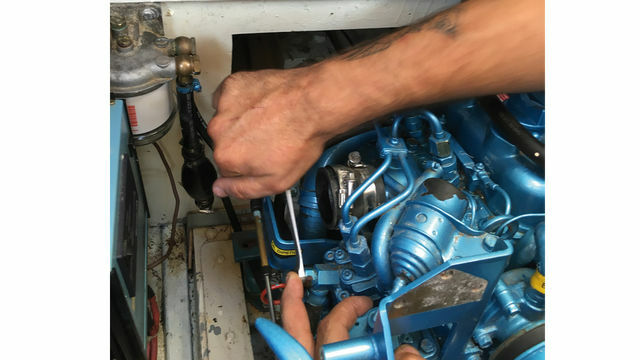 If after all these checks, your boat’s engine still doesn’t want to start, the help of a professional will be essential. But remember, with a well-maintained and serviced engine, these inconveniences should be ruled out. 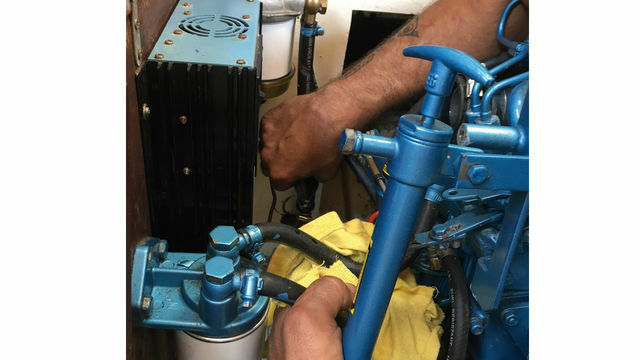 1 – We start by checking for the presence of water in the bowl under the diesel pre-filter. If there is any doubt, it’s best to drain it using the screw situated at the bottom. Then check that the diesel is flowing correctly by squeezing the manual primer bulb. If it remains hard, the diesel is not flowing. You must then check that the dip tube isn't blocked by dirt in the tank. 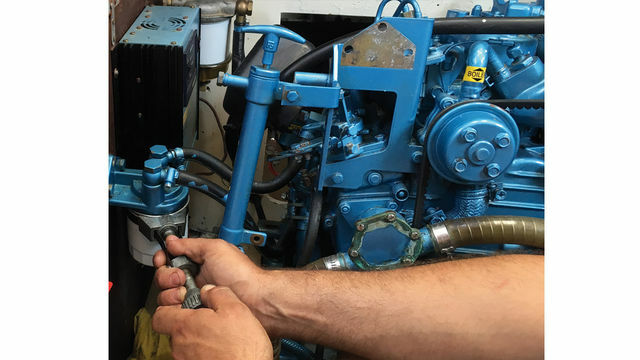 2 - Next check manually (if possible, on your engine) the operation of the diesel pump. It must be firm and flexible. 3 – With fuel which has been in the tank for a long time, deposits form and the filter is so dirty that the diesel can no longer flow. It is then essential that you change the filter and pre-filter. 4 – Does everything you have just checked work correctly? Well the breakdown doesn’t come from the diesel supply. You have certainly an air leak in the circuit, at the level of the injectors. 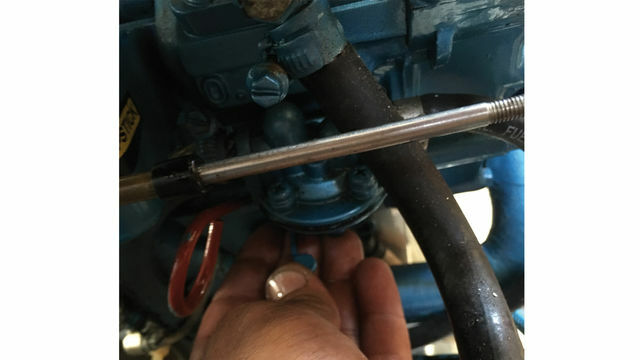 You must then bleed the fuel circuit between the tank and the fuel pump. As the rest of the circuit is under pressure, air cannot penetrate.